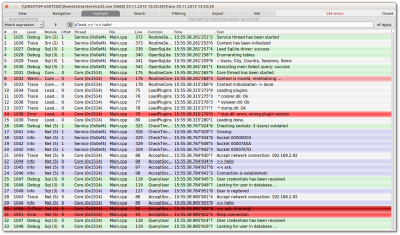 Baical is free high-performance tools set for sending and receiving traces & telemetry and log messages from your software and drivers. We develop this software with care, passion and faith in software without bugs :) Baical and P7 already helping many engineers across the word and we hope it will be useful for your tasks also. Angara - ETW message consumer (TraceView replacement), receives traces from your windows driver or application on local PC and pass them to Baical server over network. 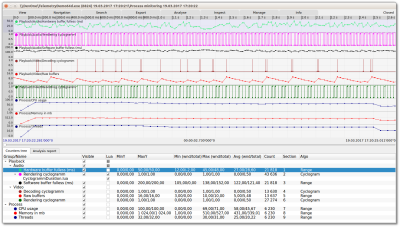 Baical provides for sofware engineers and engineers in test a flexible and comfortable way to receive, process and view traces, logs and telemetry from multiple systems in real-time. GUI & CLI versions are available. Baical server is designed with thoughts of modularity. All components, except core, are plugins.